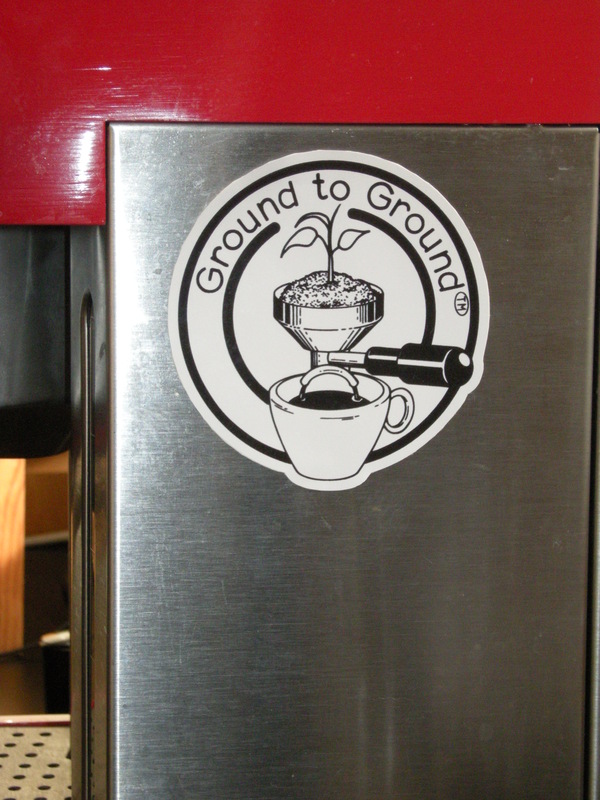 Very nice to see the ground to ground logo on a home espresso machine. Do you think it looks as lovely as I do? And the close up of the coffee ground logo. So my friends, with the normal usage of this one machine, we are going to be returning about 35 kilos of used coffee grounds every year. That’s a fair amount for a single machine, and if you added up all the hundreds of thousands of espresso machines out there, you end up with heaps of ground coffee. All of this can go straight back into the earth, ground to ground style. As I have mentioned previously, it is hard to know how to make a real difference, how do you see the outcome of those choices? This is one of those things that you can experience very easily. Just take the grounds into your garden, and watch. Tags: coffee compost, coffee grounds, coffee logo, Espresso machine. Bookmark the permalink. I saw a link to your blog from a group post over at blogger zone (linkedIn). Great idea using the coffee grinds for turning back into the earth. My GF and I drink a lot of espresso coffee and had never even considered doing this. Well that is great to hear Wynne. 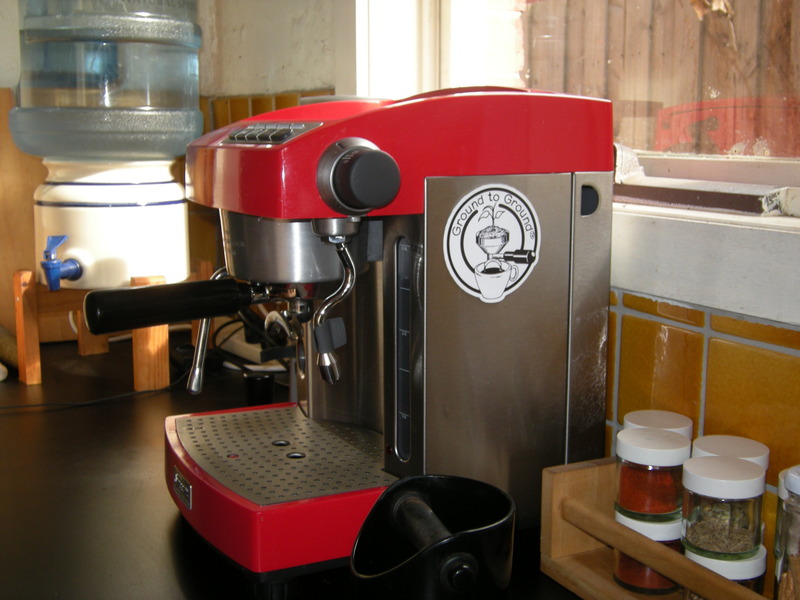 It is not really a well known thing out there, about the benefits of coffee grounds, and why I wanted to get the message of Ground to Ground out there. Let me know some time how you find using them. Why thank you Gary Ryan from Organisations That Matter. I have that book review for you, just need to clear up a bit of time to post. Hope all is well and if you happen to find some coffee grounds around the place make sure to throw them in the garden! Cya mate.